In the end we will remember not the words of our enemies, but the silence of our friends (MLK). After evaluation of our history and humiliation of the Oromo people as an individual and as a nation together with our bloody struggle with millions of sacrifices against these evil act I try to re-evaluate the process of our struggle. In the past I fought the colonial rule in different parts of Oromia, I wrote articles against them and I defend my nation interest on the international stage. Now I start to question myself why this big nation comes to this end? What is the process of nature and who are the key players of this empire and how? To encounter this disarrayed secrecy of our enemy as an Oromo people we have to redefine our commitment by saying: even if I died in the service of my nation Oromo, i would be proud of it. Every drop of my blood and my brothers and sisters blood will contribute to the growth of our nation and make it strong and dynamic. Great achievement is usually born of great sacrifice, and is never the result of selfishness. 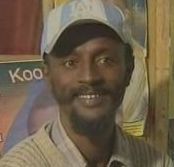 The vision of Oromo liberation Front (OLF) is to fully exercise the rights of self – determination of the Oromo people, other peoples and individual rights in Ethiopia and to see New Federal Republic of Ethiopia where the Oromo people contiguously live with freedom, peace, prosperity; respect for democratic rights of nations and nationalities, and peoples in Ethiopia. human rights is undeniably beneficial for Oromo people interest and the interests of other nations, nationalities and peoples in Ethiopia. This new social contract will bring a lasting solution and an end to the iron grip of oppression and subjugation on peoples who have been suffering for centuries. In order to realize this vision the Oromo liberation Front recently made unconditional peace agreement with the government of Ethiopia. With the strong political support it enjoys in parts of entire Oromia, OLF is in a good position in its challenge ODP at the ballot box. Organizing systematic eviction of Oromo people from their ancestral land and oppressing any types of objection. If we are truly meaning that Ethiopia is for everybody, why the Known Ethiopia leaders like Menilik, Haileselase, Mengistu and Meles are killing, torturing, imprisoning and destroying everything which smells Oromummaa. There has to be some rules in Menilik paleis which give institutionalized order to eradicate Oromo as a people. 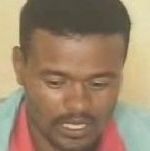 Again the proud son of Oromo people Dr. Abiy and Dr. Lemma left the criminals and thief in Mekele Tigray in peace, Small metec in their armpits in comfortable situation and start to Bomb their brave and honest brothers, sisters, mothers and fathers. This episode also confirms the institutionalized order in the Menilik paleis needs Oromo as an individual but not as organized Oromummaa. Why Oromo people is bombed by Ethiopian air force under Oromo son leadership? 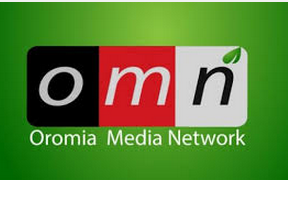 Who is funding the destructive propaganda against the Oromo political parties? Why the members and supporters of OLF are imprisoned? 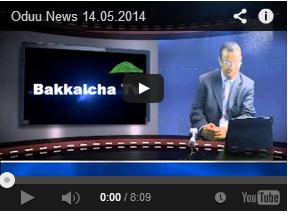 Who is killing the child of age 8 and pregnant women of Oromo people? The answer is the brutal and unfair system of the Ethiopian empire long term strategical policy is keeping and changing Oromummaa with sabonummaa→to→ gandummaa, abbagarummaa, gadhummaa, harummaa and gabrummaa. How did they do that, Oromo people is a great nation?? Service for all: the majority of the peoples are unaware of the fox with sheep cloth inside them and expect to fulfil their demands and hope. But the majority trust the government and believe in the government capacity to protect them from harm . Additionally the majority expect from government magic remedy to create the bright future. While the step as to be contrary (people has to take responsibility, share his idea with government and create synergy method to full fill his demand through mutual understanding). So the Ethiopian empire is built on Elite of certain groups. Those groups are working tirelessly 24 hour a day, 7 days a week and 360 day a year to preserve the untouched and holy Ethiopia. According to their definition holy means killing and destroying all concurrent idea’s, critic or comment out of the certain groups Elite vision. The vision of those certain groups Elites are year by year, term by term destruction, war, oppression, imprisonment, torture, eviction and death. Mainly against Oromo people. We as an Oromo our task is not only eradicating our enemy. Our task is to build a fair system which can serve all by creating oriented nations (to give oriented service) and our task is also to be a role model for our region, Africa and global world because of our quality as a nation with a collective parameters ( inventor of peace and love model, visionary and optimistic nation, unmatched heroism with immeasurable bravery during peace and war, full of talency with eagerness and the kindest nation on earth). Unfortunately this great nation with collective parameters are imprisoned in an empire by unfair system. 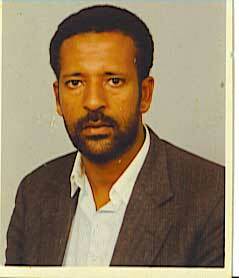 We Oromo people as an individual and as a nation we have to confront this enemy with all our ability and forces. There is no stability without solidarity and no solidarity without stability. So I am calling all Ethiopian people to stand with Oromo people during this difficult time (bombshell from sky on wellega Oromo’s, harassment from ground on wellega and Guji Oromo’s from their own government, internally displacement on wellega, Harar, Bale, Borana Oromo’s, suffocation of wello Oromo’s and totally hopelessness around Oromia). Again Ethiopian people has to reject the institutionalized destruction of certain Elite shrewdness policy and voice for inclusiveness and fair vision. strengthen the current government by all necessary intervention (through Abba-Gadaa, through academics vision, through voice of Oromo people). If the first choice didn’t succeed we Oromo people have to take the responsibility as a nation and as an individual to build the almighty military power and to create substantial economic power. Mathematically this is very easy. We have many potential individuals to sacrifice themselves for the cause of their nation and we have too a fertile condition in comparison to the 70th or 80th. So when I came to the Oromo people and Ethiopian people in general I think we need a new social contract among each other (horizontally) and with our government (vertically). That is building our Social capital. If we realize this we can bring justice for all, we can build solidarity among all peoples in Ethiopia and we can bring lasting peace for all. Also we can create the fair system which can serve everybody fairly where peoples get job according to their knowledge instead of whom they know and we can listen each other to understand our pain instead of listening to reply. Social capital is about the value of social networks, bonding similar people and bridging between diverse people, with norms of reciprocity. It is generally seen as a form of capital that produces public goods for a common good. Social capital is multidimensional and must be conceptualized as such to have any explanatory value (Eastis 1998). Some authors see social capital as an economic term and do not adequately take account of its multi – dimensional and multi – disciplinary nature, for example Day (2002). Under the help of the academics, service of nation and international view try to create the images of leadership (nation, party company…). Create national awareness sector as joint force with international actors (nature will kill you before you kill each other). Work on ODP-OLF joint force on transparent manner (to produce the public goods for common good). 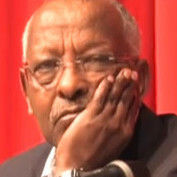 Previous Ijoon dubbii Obbo Ararsoo Biqiilaa godhan keessaa qabxiiwwan shan jala muruun barbaada. 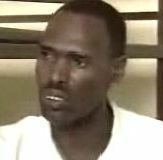 Next Afaan Oromoo Eessaa Karam?